Omar al-Bashir placed under arrest - SABC News - Breaking news, special reports, world, business, sport coverage of all South African current events. Africa's news leader. 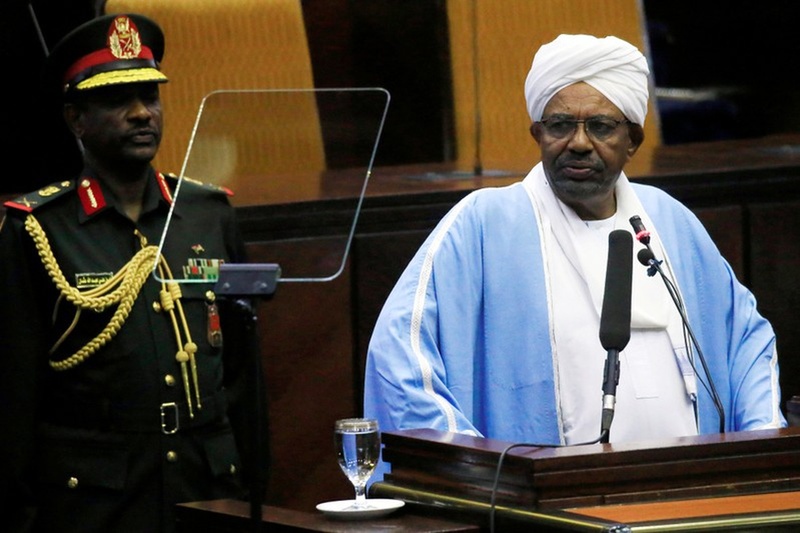 In an address on state television, Defence Minister Awad Mohamed Ahmed Ibn Auf said Omar al-Bashir, 75, was under arrest in a “safe place" and a military council was now running the country. In an address on state television, Defence Minister Awad Mohamed Ahmed Ibn Auf said Bashir, 75, was under arrest in a “safe place” and a military council was now running the country. Seated on a gold-upholstered armchair, Auf announced a three-month state of emergency, a nationwide ceasefire and the suspension of the constitution. He also said Sudan’s air space would be closed for 24 hours and border crossings shut until further notice. Sudanese sources told Reuters that Bashir was at the presidential residence under “heavy guard”. A son of Sadiqal-Mahdi, the head of the country’s main opposition Umma Party, told al-Hadath TV that Bashir was being held with “a number of leaders of the terrorist Muslim Brotherhood group”. Bashir has been indicted by the International Criminal Court in The Hague and is facing an arrest warrant over allegations of genocide in Sudan’s Darfur region during an insurgency that began in 2003 and led to death of an estimated 300 000 people. The downfall of Bashir follows the toppling this month of Algerian strongman Abdelaziz Bouteflika, also following mass protests after three decades in power. Here are key dates in Sudan since Omar al-Bashir seized power three decades ago, after he was ousted on Thursday by the military following months of protests against his iron-fisted rule. In June 1989 army brigadier Bashir and a group of officers seize power in a coup backed by Islamists, toppling the elected government. Sudan then hosts radical Islamists, including Al-Qaeda chief Osama bin Laden who remains until 1996. A rebellion erupts in 2003 in the western region of Darfur, which complains of economic and political marginalisation. The conflict goes on to kill 300,000 people and displace nearly 2.5 million, according to UN figures, before diminishing. The International Criminal Court in 2009 indicts Bashir for war crimes and crimes against humanity in Darfur, and a year later for genocide. He denies the charges. Khartoum signs a peace treaty in 2005 with rebels in the south of the country, ending a 21-year civil war that left two million people dead. The agreement schedules a referendum on independence for 2011. In 2010 Bashir is elected in the first multiparty elections since 1986, but voting is boycotted by the opposition and criticised abroad. He is re-elected in 2015. South Sudan breaks away in July 2011, six months after the scheduled referendum overwhelmingly approves independence. The Sudan People’s Liberation Army-North launches insurgencies in the states of South Kordofan and Blue Nile. In early 2012 fighting breaks out along the border between Sudan and South Sudan over oil fields in an area claimed by both. South Sudan shuts off oil production for more than a year, hitting both economies. Khartoum lifts petrol subsidies in late 2013, causing prices to rocket and sparking demonstrations that turn into anti-government protests. Security forces respond with force. Amnesty International says more than 200 people are shot dead; the government puts the toll at dozens. In October 2017 the United States ends its 20-year-old trade embargo against Sudan, imposed over alleged support for Islamist militants. It does not drop Sudan from its blacklist of “state sponsors of terrorism”. In early 2018 demonstrations erupt over soaring food prices. They are swiftly dispersed and opposition leaders and activists rounded up. In August the ruling party nominates Bashir as its candidate for the 2020 presidential election, despite the constitution’s two-term limit. In December protests begin in several towns after the government triples the price of bread, soon turning into rolling nationwide anti-government rallies. The demonstrations continue into 2019, with authorities accused of a harsh crackdown in which several dozen people are killed. 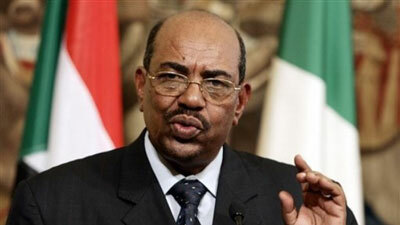 On February 22 Bashir declares a state of emergency and dissolves the government. Demonstrations continue, focussed on the army headquarters in Khartoum where thousands set up camp on April 6 to demand military support for the removal of Bashir. On April 11 the army announces it has ousted Bashir and put him under arrest, with a transitional military council to be established to run the country for the next two years. This entry was posted on 11 Apr 2019,03:05PM at 3:05 PM and is filed under Africa, News, Homepage Featured Story Slider. You can follow any responses to this entry through the RSS 2.0 feed. Both comments and pings are currently closed.